Frances Davis was born August 11, 1932 in the little brown house in Apache to Jessie and William Christian. She grew up running the creeks of Apache and graduated from Apache High School in 1949. She worked at Haggar Slacks in Lawton for 22 years before retiring. Her hobbies included singing, dancing and being a master thrift shopper. She married Carlos Tibet in 1951 in Lawton. She is survived by their three children, Tony of Geronimo, Michelle of Lawton, and Mike of Lexington. She is also survived by seven grandchildren, Galen and Chad Major, Jared, Nick, and Jordan Harvey, Alessandra and Alexander Aniol. 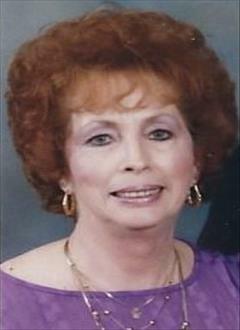 She is survived by 13 grandchildren and two great-great grandchildren, Carson and Liam and 13 nieces and nephews. She married Hunter Davis in 1979 in Wichita Falls, Texas. He preceded her in death. She is also preceded by five brothers, Billie, Donnie, Joe, Glen and Paul Christian, and one sister, Darlene Christian, and one nephew, Joe Allan Christian. Funeral will be Friday, April 5th. 2019, 11:00am at Crews Funeral Home Chapel.